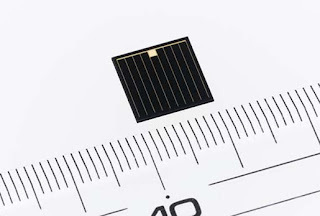 Sharp Brings The Highest Conversion Efficiency Solar Cells ! The world’s highest solar cell conversion is achieved by Sharp Corporation. It used 35.8% of a triple-junction compound solar cell. They are not like Silicon based solar cells, the compound solar cells use photo absorption layers made from compounds consisting of two or more elements like indium and gallium. Due to high conversion efficiency, compound solar cells are being used in space satellites. For the past nine years Sharp has been the advancing research and development on a triple-junction compound solar cell that achieves higher conversion efficiency just by stacking three photo-absorption layers.